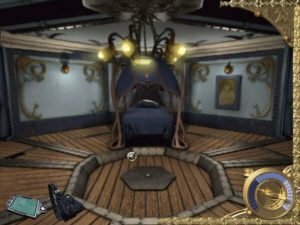 The Mystery of the Nautilus is an adventure game inspired by Jules Verne’s 20,000 Leagues Under the Sea — but take that “inspired” business with a grain of salt. Both the book and the game contain a character named Captain Nemo, and they both contain a submarine named the Nautilus, but that’s all they have in common. 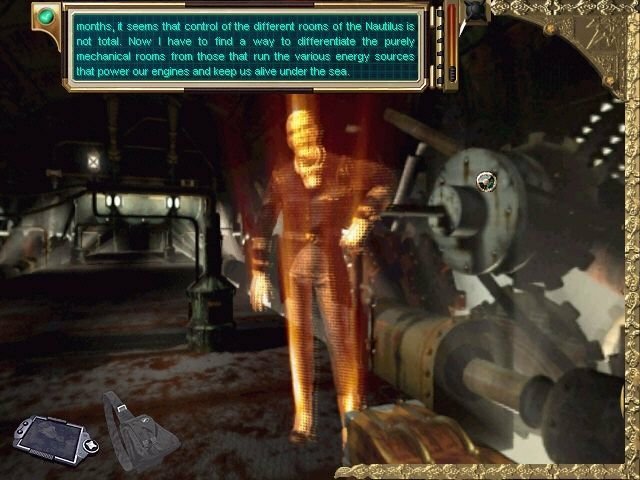 Moreover, the Nautilus in the game has lasers, killer robots, and a HAL-like computer system, and so it has little to do with the Nautilus from 20,000 Leagues Under the Sea (which takes place in 1867). 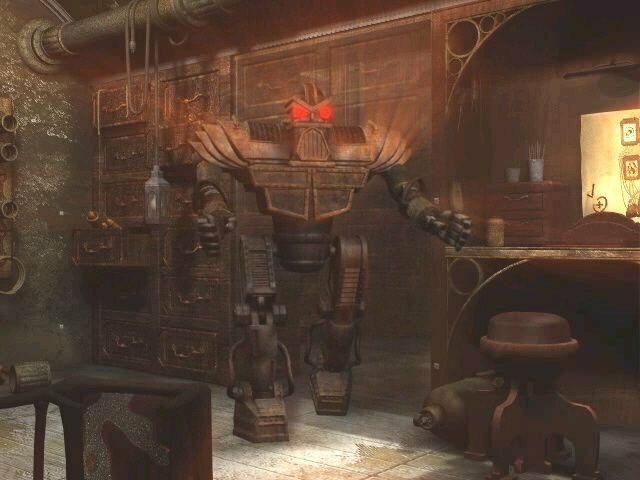 Mystery of the Nautilus is a point and click adventure in the same vein as Myst, with a free-scrolling engine and puzzles degenerating into annoying pixel hunts. 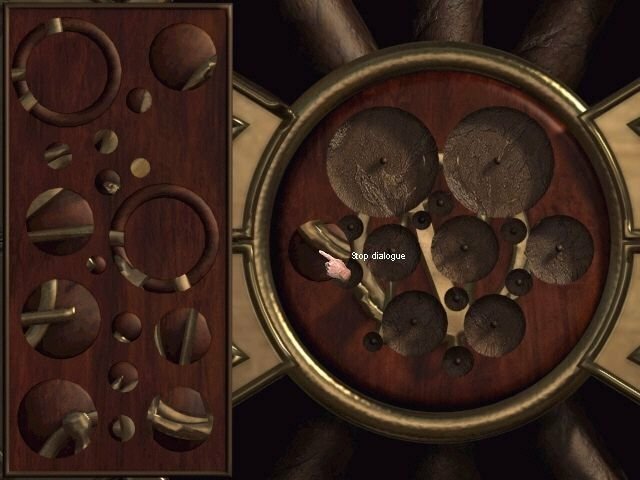 The game starts out with you on board the USS Shark. 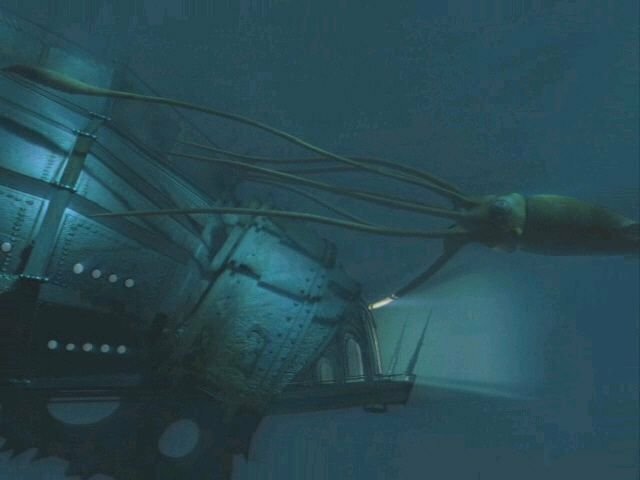 Its crew soon discovers the Nautilus, and you, as a marine archeologist, are so excited that you disobey orders and zoom right out to explore the derelict submarine on your own. Of course the other scientists don’t want you to investigate the sub, and decide to blow up the derelict vessel. The sub’s onboard computer decides that you’re an intruder, and goes about trying to kill you. 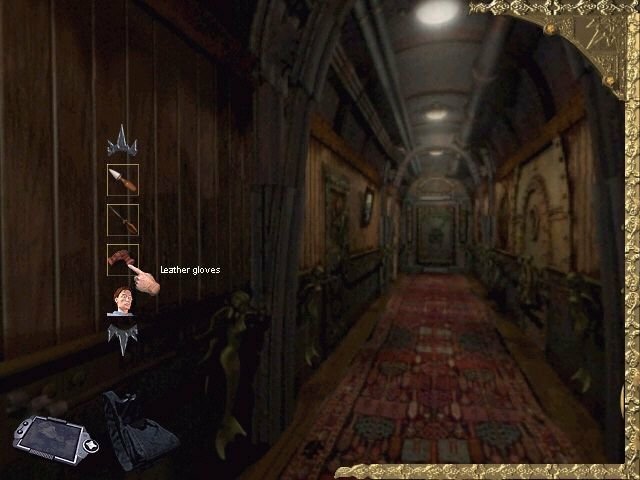 But being the intrepid marine archeologist that you are, you don’t let any of that bother you, and you spend the rest of the adventure dodging security protocols while looking for a way to escape. As premises go, that works well enough, even if you ignore the minimal nod to 20,000 Leagues Under the Sea. 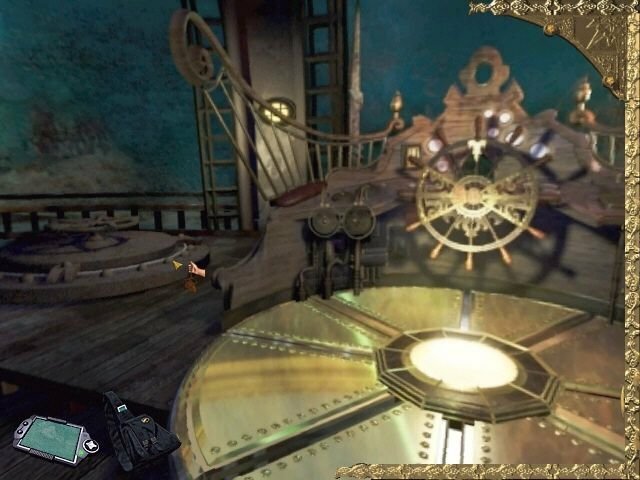 And the submarine can be interesting to explore with its steampunk feel. 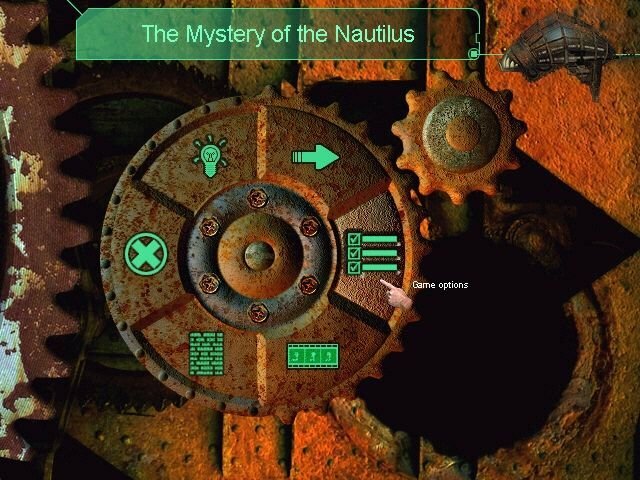 But the problem with Mystery of the Nautilus is that it relies too much on inventory puzzles, and it uses the same sort of engine as many other DreamCatcher titles — an engine that makes inventory puzzles far too easy. 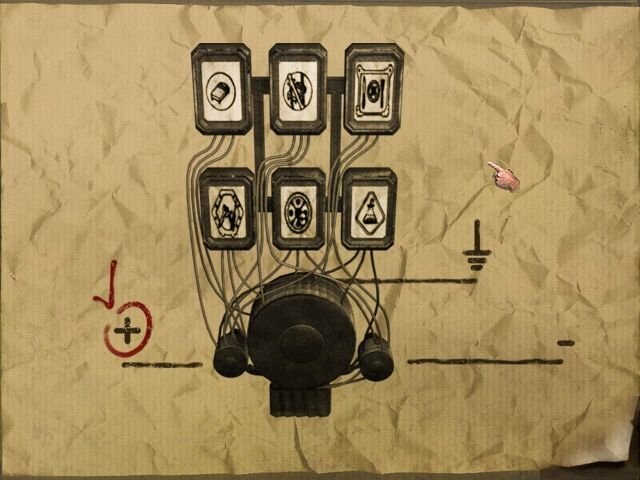 Solving puzzles once you find the right item is easy enough, but finding said item is where the game cracks. 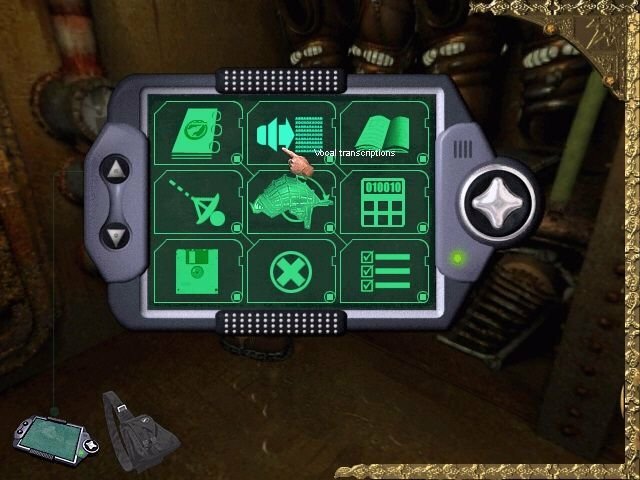 Most items are frustratingly hard to see, and the “hotspots” for detecting those items are uselessly small. 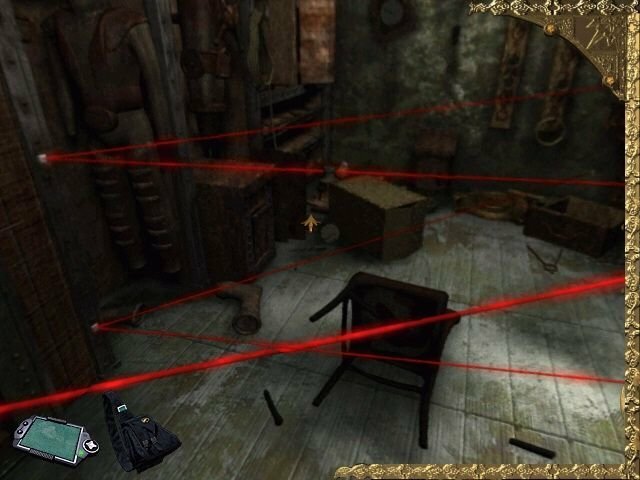 As a result, each of the game’s five stages goes something like this: spend a couple hours wandering around looking for objects, and then spend about ten minutes solving the puzzles. 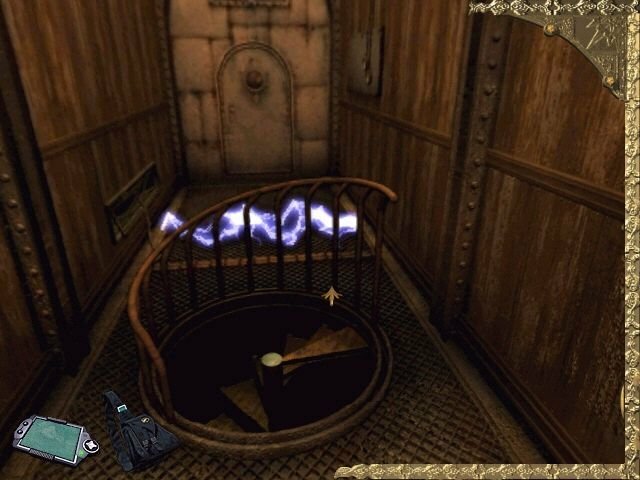 The environments, though atmospheric, ruin the effect by providing some of the most washed out and dark pre-rendered still images seen in a Myst clone. Items are just as blurry and non-distinct in their appearance – sometimes you have to hover over them just to know exactly what you’re looking at. 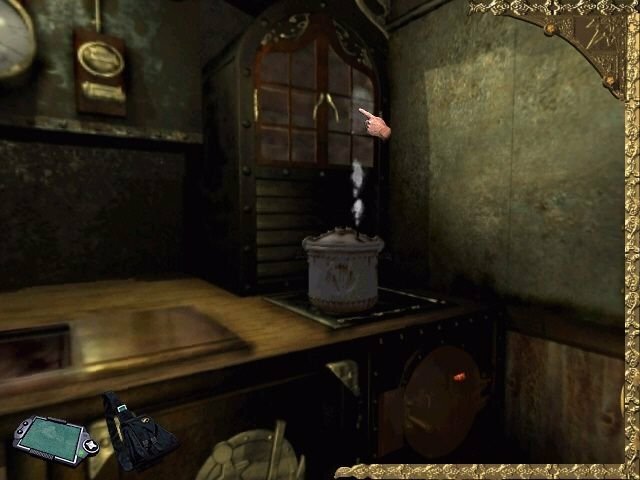 The game is also tricky to run on most systems, even freezing completely on Windows XP shortly after starting. 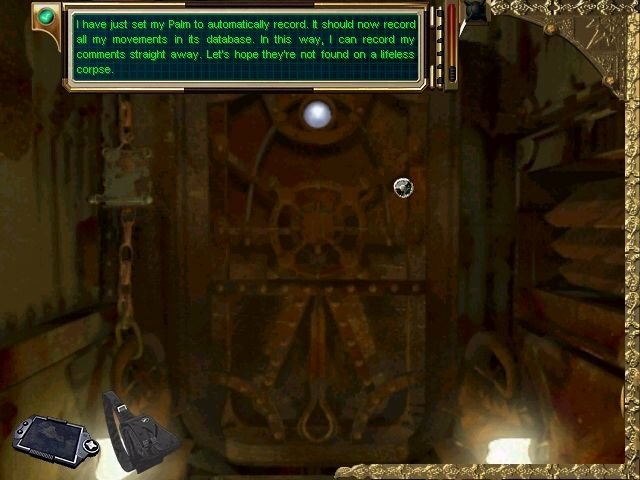 But in this case that might be a hidden blessing, since it spares you the pain of going through the rest of Nautilus.